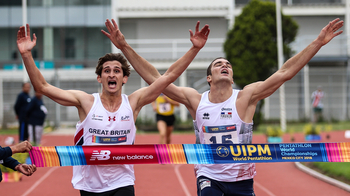 The reigning men’s world champion, Jamie Cooke of Great Britain, returns to top-level competition at UIPM 2019 Pentathlon World Cup Sofia – where a serious challenge is sure to await. In fact, with qualification for the Tokyo 2020 Olympic Games adding competitive intrigue, the first of three Pentathlon World Cups in Europe this spring promises to be a compelling contest across the men’s and women’s individual events. 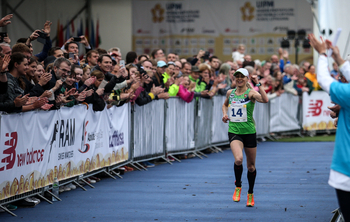 Cooke (GBR), who won the world title in the most dramatic style imaginable at the UIPM 2018 Pentathlon World Championships in Mexico City (MEX) when he overtook Valentin Prades of France at the finish line, will have watched the 2019 season-opener in Cairo (EGY) with interest as it confirmed the emergence of a huge star, Ahmed Elgendy of Egypt. The teenage gold medallist from Cairo, winner of UIPM world titles at Junior and Under 19 level and Youth Olympic Games gold in 2018, will be on the start line in Sofia, and so will the top-class duo from Korea, world No.1 Jun Woongtae and 2017 world champion Jung Jinhwa. Other top-10-ranked contenders include No.3 Arthur Lanigan-O’Keeffe of Ireland and No.5 Ilya Palazkov of Belarus, while Amro Elgeziry of United States is one of many other names on the list that catch the eye. After a solid 5th-placed finish in the Egyptian capital, reigning women’s world champion Anastasiya Prokopenko (BLR) faces an intriguing match-up against London 2012 Olympic champion Laura Asadauskaite of Lithuania, who demonstrated her form when winning the recent French Open Tetrathlon Criterium in Paris (FRA). At 33, Prokopenko (BLR) is two years younger than 35-year-old Asadauskaite (LTU), but both athletes have a lethal kick in the Laser Run and are unlikely to be far off the podium if they can remain in contention through Swimming, Fencing and Riding. Among the athletes with more compelling recent form are the African champion Haydy Morsy (EGY), the first woman to secure a first Tokyo 2020 qualifying place, world No.4 and Pentathlon World Cup Cairo winner Uliana Batashova of Russia and No.5 Natalya Coyle (IRL), who took silver in Cairo. Other top-10-ranked athletes in the line-up are No.6 Marie Oteiza of France, No.9 Kate French (GBR) and No.10 Gulnaz Gubaydullina (RUS), the 2017 world champion. Qualification for the Tokyo 2020 Olympic Games will be firmly on the minds of all participants on the start line in Sofia (BUL). For the majority, the UIPM 2019 Pentathlon World Cup Final in Tokyo (JPN) in June offers the first chance to seal the Olympic dream, and a good performance this week in Sofia will put them in a strong position to qualify for the Final with two more World Cups to come. Find out more about the Tokyo 2020 qualifying process. UIPM President Dr Klaus Schormann commented: “We are creating a tradition here in the capital of Bulgaria, where we enjoyed a successful UIPM Pentathlon World Cup in 2018, an excellent European Championships in 2016 and the 66th UIPM Congress in 2014. “Throughout this year we are going to see pentathlon at its best, as athletes from all countries plot their journey in Tokyo and aim to achieve peak performance. Points accrued by the athletes here will count towards qualification for the Pentathlon World Cup Final 2019, also in Tokyo, where there will be a chance to achieve the Olympic dream. UIPM 2019 Pentathlon World Cup Sofia begins on Wednesday, April 10 with qualification for the Women’s Individual Final (Friday, April 12). The action continues on Thursday, April 11 with qualification for the Men’s Individual Final (Saturday, April 13). The Mixed Relay closes the competition on Sunday, April 14. During each finals day you can watch a live stream of the Fencing Bonus Round, Riding, Laser Run and the medal ceremony on UIPM TV and YouTube, with no geographical restrictions. The Laser Run and medal ceremony can also be watched live on Facebook. Follow World Pentathlon on Facebook, Twitter and Instagram throughout the Pentathlon World Cup series for additional content, and visit the UIPM website or download the “UIPM Central” app to keep track of results.